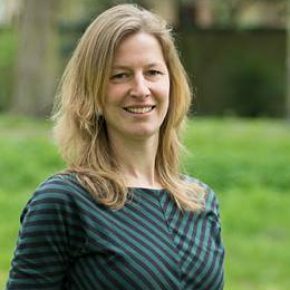 Esther Blom works as a lecturer in Sustainable Entrepreneurship at Delft Centre for Entrepreneurship (Delft University of Technology). Despite the fact that Esther underlines that all business should take sustainability aspect into consideration, Esther focusses on those businesses that have sustainability as their core value. Part of her work is addressing specifically entrepreneurship in developing countries. Sustainable business is not (only) about generating financial revenues, but also social and ecological value. Through entrepreneurship, new technologies are brought to the people who need it most. In order to succeed and foster sustainable development, creative revenue models and a culture sensitive approach is needed. Since 2007 Esther is a researcher and qualified lecturer (UTQ) at Delft Centre for Entrepreneurship. She developed several courses. Her courses and her field of interest focus on Sustainable Entrepreneurship (and in some courses in an international context). Esther’s courses are open to BSc, Msc and PhD students. Next to lecturing the TU Delft courses, Esther is also involved in several (international) train-the-trainer initiatives and in giving training sessions for professionals. Esther gained a lot of hands-on experience while working for her own foundation and own enterprise and through involvement in many projects. For example as being the founding chairman of Movendi Foundation, she organizes entrepreneurial projects for the benefit of physically challenged persons in developing countries (see www.movendifoundation.org). In the past, Esther used to work for four years as a trainer and consultant for her own company Enyini, encouraging individuals, organizations, educational institutes and companies to engage in sustainable entrepreneurial activities.